Found a great game. Very similar gameplay! Guys - CPW is a copy of Boom Beach with a western theme. They are both companies based out of Helsinki. Next Games saw the huge money SuperCell was making and followed their model, right down to the quantity of diamonds and prices to purchase them. Next has no creativity - just good graphics designers. However, their transition times stink compared to SuperCell. They tried to get creative and now we have Yeti's in a western game. Apparently they don't know the difference between Yeti & Big Foot. SMH. It actually surprises me that Next/CPW isn't sued out of existence for the blatant copying. EU must not have the same software protection as the states. Howdy texfromsiagon, I have a 10 man task force I've been running for awhile. I was in a huge group but decided to start over with a new task force. I'm lvl 50, but we have a few lower level people. If you would like we have an opening right now, with another member that shows little activity. If interested look us up, task force is called big Pekkas. Look for that name with 9 members. Joe, I haven't paid a dime in boom beach, and I'm at lvl 50. I get raided, but I also raid. You get more than what is taken if you play the game more than once every other day. Everyone is entitled to an opinion, but I suggest you do a little more research next time before you rip into a game you know nothing about. Or praise one you know hardly know anything about. Peace brother! lol this is the same guy that asked the developer if they play their game. If you haven't learn anything about mobile games, they're all the same and by this, I mean babysitting construction and research and potty train your troops. Majority of them end up being a lemming baby sitters. Do you know the term lemming mean? Do you know what make me so different than those lemmings out there? Its all about having good taste. Take Boom beach for example, they force you to do the lame quest over and over again about saving villagers trap under ground. They also didn't let us control our troop. I know they'll eventually add it but that's just poor gameplay. This game however only require us to save demsel in distress ONCE and we get to control our troop. That's the selling point for me compare to Boom beach. Oh yea, speaking of Big Foot, who actually saw it? Just like God, have anyone seen it? No right? so for attracting their faithful followers, everything look good in white dress when they're being add to a story. They disbanded Gazza. I haven't played in a month because I got sucked back into this game. Yep, this is the same guy that asked Ms. Kellygrey (not a developer) if she has played this game. If you would read through some of the comments she has made on questions asked from veteran players, you would see she gives answers not very unlike the ones you give, vague and without actual intellegance. 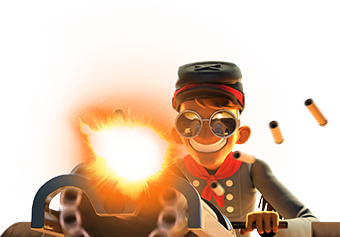 In boom beach, you can control your troops exactly like you can in this game. Rally flags. And if you want to compare the two games, you would also find they have several similarities. You put meat shields out front, with damaging units following. Rally flags to keep together and maneuver, but with more options in boom beach. You can heal your troops, use gunboat to attack, or distract defenses, etc. You talk about repetition? This game is the worst game for that. But before you come telling me about this game, and what it can offer, try scoring 150k in cattlebattles, and 200k+ in goldmine events, then I may listen to ya. Untill then my friend, keep researching....again, peace brother. 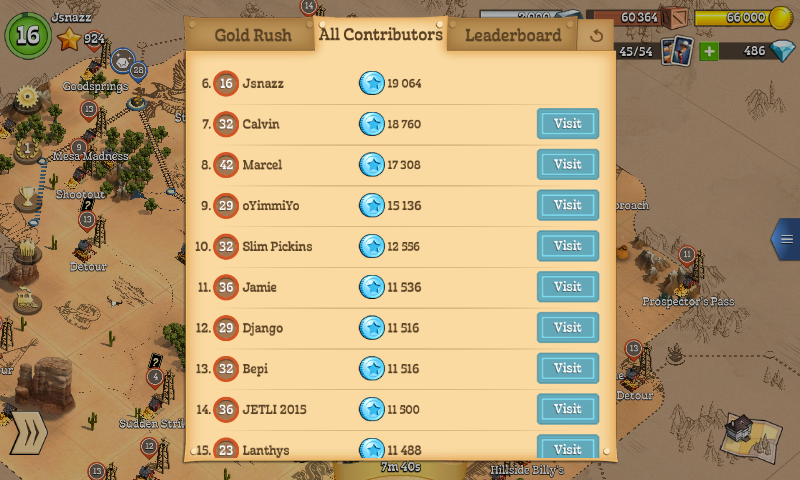 ^ Well I just hit 19k gold rush points at level 16 and surpassing other level 41 members lol. So with due respect, I do know what I'm talking about. If you read my other thread thanking the developers, you would get more ideas on how I wanted this game to improve and that's to make thing fresh and interesting because after this event, I might not return since there are so many free games out there for me to complete. I have played Boom Beach for a long time without spending a penny. Level 21 HQ and close to maxed out offenses. It can be done, but it takes a long time.